Between 2013 and 2016, the Ebola virus swept through West Africa, killing more than 11,000 people and infecting nearly 30,000 in all. The problems were numerous, but the question remained; where had this virus come from? Ebola had never been seen in West Africa before. The collective scientific community had some ideas, though no wildlife reservoir for the virus had been definitively determined. And it is through knowing the source of an outbreak that we can prevent similar ones in the future. For example, before we had any understanding of germs, people believed that disease was spread by bad-smelling winds called “miasmas.” Thusly, medieval customs to prevent spread of plague were predicated on avoiding these bad airs (as in the “pocket full of posies” from the nursery rhyme). Plague, however, is caused by the bacteria Yersinia pestis and is spread zoonotically by fleas. So avoiding bad smells, while understandable, did precious little to protect against the disease. And so EcoHealth Alliance got to work. We began working in West Africa in 2016, after the Ebola outbreak had ended. One of our goals was to identify the wildlife source of outbreaks, so that we can understand the dynamics of how people where coming into contact with these animals. 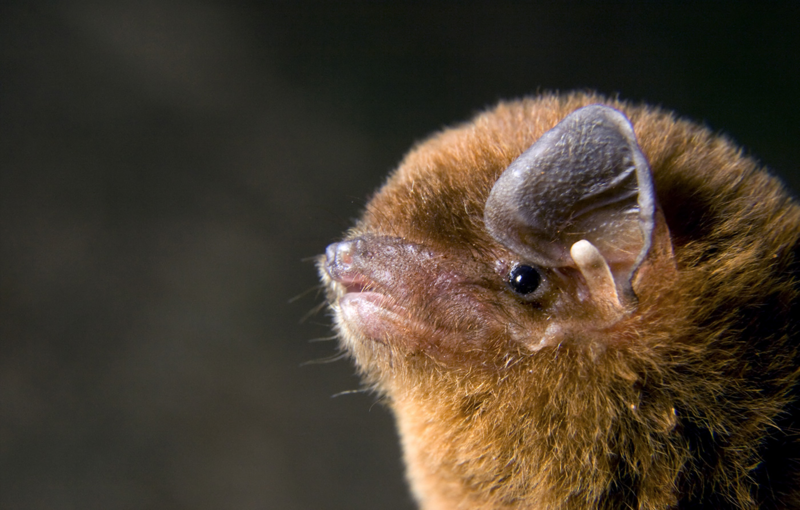 Flash forward to January 2019, when EcoHealth Alliance scientists joined members of the Liberian government to announce that we had found Ebola virus in a Greater long-fingered bat (Miniopterus inflatus), the first time this had been done in West Africa. The discovery is not linked to any human cases; in fact, there have been no cases of Ebola in people in West Africa since the end of the outbreak in 2016. So why is this discovery important? It’s difficult–nearly impossible–to prevent disease transmission if we don’t know how it happens. In identifying a potential source of human Ebola infections, we know what to encourage people to avoid. This discovery is good news for a couple reasons. One being that the Greater long-fingered bat does not often roost in homes, preferring instead to reside in abandoned mines and caves. This makes it much easier for local communities to avoid contact with them. And while they may potentially be the source of some Ebola infections, they are also insectivorous bats, eating insects which would otherwise ravage crops. We must never forget the good bats do for us and for the environment. While vaccines are may be the best offense we have when it comes to putting a stop to outbreaks of new and emerging disease, preventing them altogether is the best defense. And both are necessary if we're going to protect planetary health. We're seeing this now, as an Ebola outbreak spreads through a politically unstable region of the Democratic Republic of Congo. Relief workers aren't able to reach all the vulnerable communities to conduct thorough vaccination protocol. But by studying the origins of outbreaks like these, we can develop interventions for at-risk populations and stop these outbreaks before they even start. Further research must be done in order to qualify our finding. 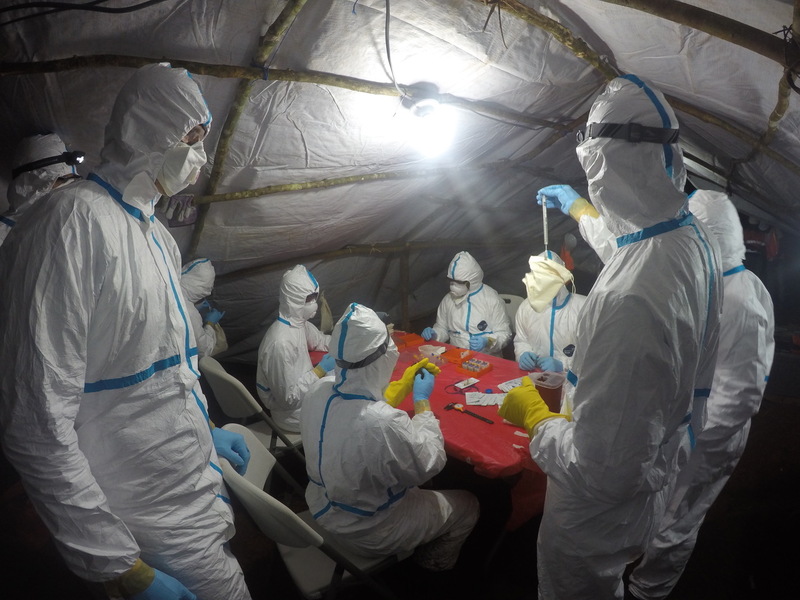 Our scientists are already hard at work, gathering and testing more animal samples to see if there is more Ebola virus in the same bat colony. We also have a tool, available for free, called Living Safely with Bats, which we hope to use to engage communities in places where Ebola virus is endemic. Ours is an interdisciplinary mission; our scientists–of all backgrounds–are working every day to outsmart the viruses which could cause the next pandemic.